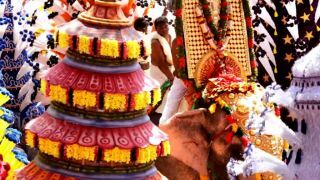 Though the presiding deity of the temple is Lord Siva, the festival celebrates the seven-day Thaipooya Mahotsavam dedicated to Subramanya, his son. 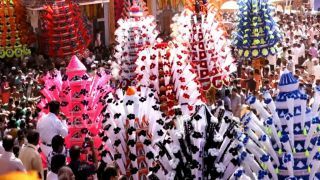 The spectacular Kavadiyattom, a ritual dance, starts in the morning and nearly 10 groups, each comprising 30 ambalakkavadi and 60 pookkavadi, participate. 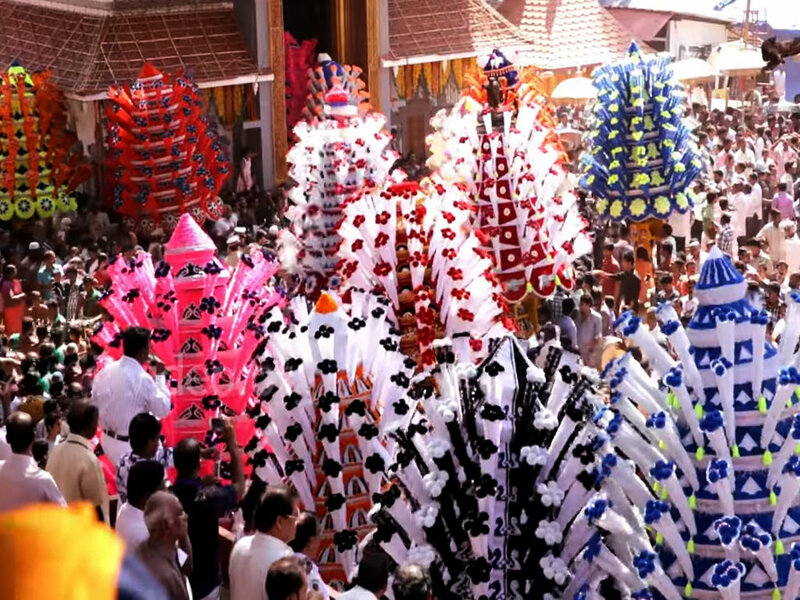 An ambalakkavadi is a decorated model of a temple, six to 10 feet tall, which a male devotee carries on his shoulder. 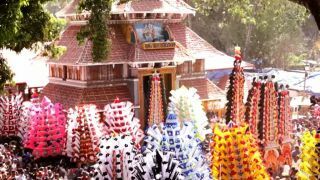 Pookkavadi is bow-shaped and decorated with flowers. 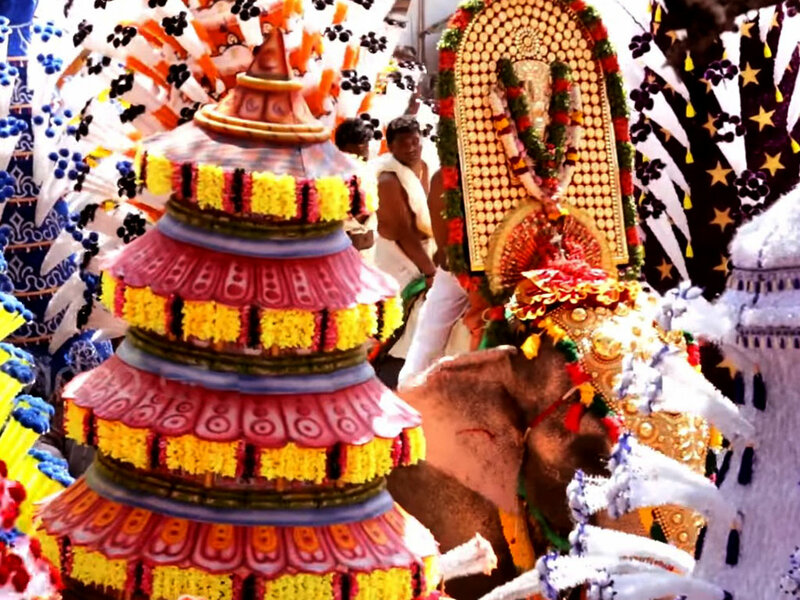 The Kavadiyattom goes on till noon, followed by an elephant procession. Then it is resumed again at night and continues till dawn. 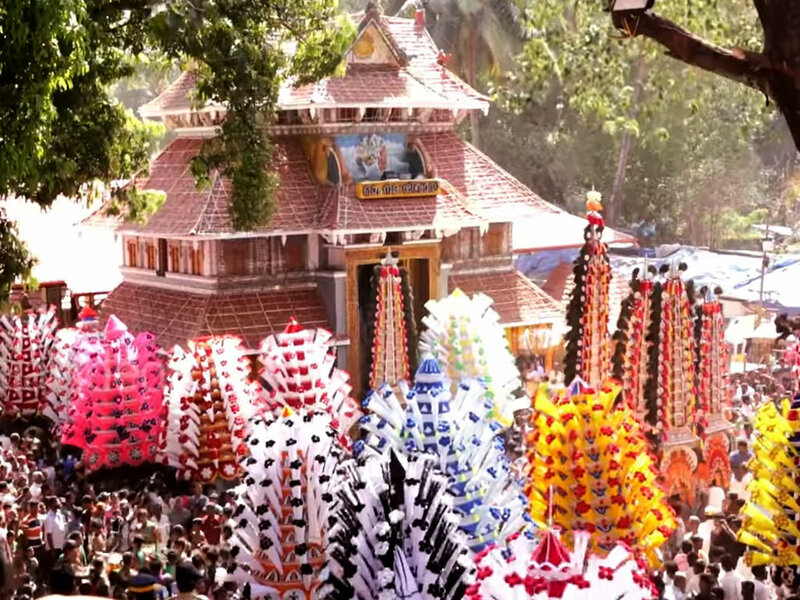 A dazzling fireworks display marks the conclusion of the festival.